2. Terms and Conditions of Use of the Website; 3. Various. The website www.geox.com (hereinafter the "Website" or "geox.com") is owned by Geox S.p.A., with registered office in Italy at via Feltrina Centro 16, 31044 Montebelluna (TV), VAT No., Tax Identification No. and Treviso Companies’ Register No. IT03348440268 (hereinafter “Geox/us”). Geox is the parent company of the Geox group. When you access the Website or make an order through the Website, your access and the sales contract between you and the Website will be governed by the Geox Terms and Conditions, specifically the Terms and Conditions of Purchase and the Terms and Conditions of Use of the Website. Depending on the Country in which you are located or you select as Country of destination of the Products, we may appoint for the sale, delivery and invoicing one of the companies belonging to our group, i.e. companies directly or indirectly subject to the direction and control of Geox.Click herein to see the list of companies for sales in each Country you may select. Please read these Terms and Conditions of Purchase carefully before ordering any Online Products from the Website. When you place an order on the Website to purchase one of our products (“Products”), you fully accept and agree to comply with these Terms and Conditions of Purchase. If you do not agree to one or more of the terms or conditions set forth in these Terms and Conditions of Purchase, please do not purchase any Products and contact our Customer Care Team. The Terms and Conditions of Purchase are identical in all Countries in which the Website operates. Geox operates the Website with delivery in many Countries. Due to climate-related needs or the application of mandatory laws (e.g. VAT or regarding official sales), the Products sold and their prices may vary from Country to Country. This is why we have created different interfaces for the Website. When you connect for the first time you will be asked which interface you wish to use. You can always change this choice later. WHO CAN PURCHASE PRODUCTS ON THE GEOX WEBSITE? Our Website is for final consumers only. If you are a professional reseller and/or wish to resell the Products, please contact our Customer Care Team, we will be happy to creating a personalized offer based on your needs. Each customer may place a maximum order €2,000.00 at one time. You must be at least 16 years old to purchase Products from the Website. You may make a purchase whether you are a registered user or a guest. If you are a registered user, the order will be made simpler by using data already recorded on our system. You may purchase the Products from any national interface, but please pay attention to prices and shipping costs. Remember that by law we must apply the VAT of the Country of delivery of the Products. You will be able to view your orders in the My Account section. • We suspect that the order was sent with the aid or involvement of software, robots, crawlers, spiders or other automated means or devices. When you enter your order data, you will see the link that leads you to the order number, where you can view the details of your order. The purchase contract is confirmed only when you receive an e-mail confirmation of the order, the order number and details of the Products ordered. We will also send you a link with the delivery information. Be careful when filling out the order form: it is your sole responsibility to ensure that the information provided in the order form is accurate and complete. If you notice an error please contact our Customer Care Team. Please note that some courier services require an additional fee to change the delivery address. In the My Account section you can always check the status of your orders. An incomplete order is not confirmed. We encourage you to always check the price and shipping costs before making payment as prices may vary depending on the promotions in place at the time of purchase from the price displayed when you placed the order. In your Wish List you can save Products you like. Please note: these Products have not been reserved for you and their price may change depending on the promotions in place at the time of purchase compared to the price displayed when you placed the order. We are sorry, but the order is processed immediately after submission, we cannot change sizes or styles. If you wish to change a Product, you will need to return it and make a new purchase. Since the order is processed within one hour of submitting it, it is impossible for us to cancel it. If you notice an error, you can contact our Customer Care Team within 60 minutes from placing the order and they will try to assist you. Please take note that Customer Care service is only available at certain times. The prices indicated are inclusive of VAT. Prices are either in Euro (EUR) or in the local currency displayed. Notice: We reserve the right to change the price of the Products and to change, limit or end any special offer, promotion or discount on the Products at any time. Special promotions and sales may also depend on the selected Country. When you place a Product in your shopping cart, but have not yet submitted your order, you have not confirmed the purchase contract. We encourage you to always check the price before submitting an order, because the price may have changed. Notice: Prices vary from Country to Country, also due to the application of different VAT rates in the various countries. We are required by law to apply the VAT of the Country of destination, so the final price including VAT may be recalculated on the basis of the Country where you have requested delivery. Prices may also vary during official or customary sales periods in some Countries or in promotions for some Countries. To ensure you have the best service, we may delegate the sales and delivery to companies belonging to our group. You can find the list of our companies and the Countries in which they operate here. We have entered into agreements with the major courier services, but we cannot guarantee delivery to every location in the world. Click here to find out if we can deliver in your country from the web page that you are linked to. You will be able to track the shipment using the tracking number that will be provided to you by the courier. You are responsible for the cost of shipping the Products and any duties, and this is always specified in the order. Costs for shipping and delivery times vary depending on the Product, destination country and type of delivery. We will deliver within the time frame that you will find in the order, or within 30 days at maximum, and to the place you have indicated; please be advised that we are only able to deliver to private residential and/or office addresses. We are not responsible for delivery to individuals not authorised by you. If you have purchased several Products, we may make partial deliveries so that you receive the delivery as soon as possible, without charging you additional costs. In the unlikely event that it is not possible to deliver the Products ordered within the prescribed time frame for reasons beyond our control, we shall promptly inform you and reimburse your payment. In this case, the purchase contract shall be understood to have been terminated. Each individual delivery shall constitute a separate contract of sale. In the event of a delay in a delivery or a failure to deliver a Product, in the case of purchases involving several Products, you will not be able to cancel the order for the other Products. The ability to schedule a delivery depends on the courier service. We will notify you of the chosen courier service when we send you an order confirmation, and you may contact them directly. Some couriers require a fee for scheduling a delivery. If the courier service does not locate anyone who can accept the delivery, they will leave a notice indicating whether they will attempt the delivery again or where you can collect the package. Uncollected Products shall remain in storage until the deadline set by the courier service. You can check this deadline on the courier service’s website. After this deadline, the courier will return the Products to us. Once the Products that you have not collected have been returned, we will credit you using the same payment method you used, less shipping costs and storage costs. We will send you information regarding this matter to the e-mail address you entered in the order. To receive information about payment methods click here. If your credit card is close to expiry, we may ask you to enter a new one. Payment can only be made in the currency displayed on the order. Any currency conversion will be implemented by your credit card provider. Geox is very attentive to its Customers. Geox has activated fraud prevention services using the credit card processing circuits. We may delegate companies in our group for the sale and invoicing of the Products and delivery costs. Click here to see the list of our sales companies in each Country. In any event, the purchase contract will be made in accordance with these Terms and Conditions. If we choose, or are required by the laws in force, to send or make available a tax invoice, we reserve the right to ask you for your tax identification number and to send or make the invoice available electronically. The delivered Products will remain our property until we collect the relevant price and shipping charges specified in the order form. However, the risk that the Products are lost or destroyed remains with us until they are delivered to the location you have indicated. We have provided you with a Size Guide to help you choose the most suitable footwear and apparel. Visit our dedicated Website section where you can find information on how to take care of our Products. You have the right to withdraw from this contract within fourteen (14) days of delivery without being required to provide reasons. We will ask you if you want to inform us of the reason for the sole purpose of improving our service, but you are free to not answer. In the case of several Products ordered in a single order and shipped separately, this time period is calculated from the last delivery. To exercise the right of withdrawal, you must inform Geox by sending a document (e.g. a letter sent by post, a fax or an e-mail) stating that you wish to withdraw from the purchase contract. You may use the withdrawal form found by clicking here, although the use of said form is not mandatory. You may also withdraw from the contract offer by completing the withdrawal declaration on our website at: If you choose this last option, confirmation of withdrawal from the order will be sent immediately by e-mail. For any other information, follow the instructions provided in the returns section or the FAQs on our Website. If you decide to withdraw from the contract, all payments made will be reimbursed, including any shipping costs from Geox to yourself (with the exception of additional expenses if you have chosen a method of delivery other than the standard delivery offered by Geox), with immediate effect and within a maximum of fourteen (14) days from the date on which Geox received notification of withdrawal from the contract. The same payment method chosen during the initial transaction will be used for reimbursement. In the case of cash on delivery, the reimbursement will be made by bank transfer: you will need to provide us with your IBAN number in order to be able to process the credit. Reimbursement may remain pending until we have received the Products, or until you have submitted proof that the Products have been returned, whichever of these options occurs earlier. You are responsible for the shipping costs of the return, unless it is specified that Geox will bear these costs. If you have paid customs duties for delivery, after the return you may request a refund of customs duties from the competent customs authorities. Notice: You must return the Products no later than fourteen (14) days after the date on which withdrawal from the contract is announced. The withdrawal period is deemed to have been respected if the Products are sent before the fourteen (14) days have elapsed. Notice: You can only return unused Products, in their original packaging and intact. Geox may reject the return and return the Products to you in the event that the Products have been used, are not intact, were not returned in the original packaging, or are not saleable by us. In the event of rejection of the return, you will be contacted by our Customer Care Team at the e-mail address you entered in the order and we will return the Product to you; you will be liable for the shipping costs and for collecting the Product. If you refuse the return, the Product will remain in stock for a maximum of 30 days to allow you to further reconsider your decision. You agree that Geox, and/or any company controlled by Geox, on the expiry of these 30 days, is free to donate said Product to charity or to organizations at Geox’s discretion or else to dispose of it. You will still be kept informed by our Customer Care Team at the e-mail address you provided in the order. Quality is of primary importance to Geox. To report any faults or non-conformities of the Products, please contact our Customer Care Team, we will be happy to assist you. Geox is responsible for the non-conformity and faults of Products that you purchase on the Website, as required by law. If you believe the Product you have purchased is damaged or faulty or non-conforming, you will be able to activate the return process by filling out the form found at this link. The shipping fees for a return due to a fault or non-conformity will be borne by you (unless you use our courier), but you will be reimbursed once quality control has confirmed the fault or non-conformity. Returned Products shall be inspected by our Quality Control department. If the inspection confirms the fault or non-conformity, all costs you have incurred, including the cost of the Product and its shipment, will be reimbursed. If the inspection fails to reveal the fault or non-conformity, we will return the original Product and you will be responsible for the cost of shipment. Products for which the warranty period has expired. Geox guarantees Products for two years and in any case for the period established by applicable law. Note: The life expectancy of the Geox Products depends on the individual use of the Product, the conditions they are used in, and the owner's habits. Products damaged from normal wear and tear shall not be replaced. Our Customer Care is available for any need you may have. We invite all of our Customers not to hesitate to contact us should they have any questions or comments. Products that we return to you because they are not faulty, which you do not collect, will remain in storage until the deadline set by the courier company. After this deadline, the courier company will return the Products to us. In this case, you agree that Geox, and/or any company controlled by Geox, is free to donate the Product held for more than 30 days to charity or to organizations chosen by Geox at its discretion, or else to dispose of said product, without crediting you for the price paid. You will still be kept informed by our Customer Care Team at the e-mail address you entered into the order. When we ship you Products containing batteries, we will insert a sticker in the box: if you return such Products, you will need to apply the sticker to the outer packaging. Batteries, as well as electrical and electronic equipment, must not be disposed of along with normal waste. Manufacturers, importers and distributors of batteries and electrical and electronic equipment in all European countries are subject to disposal obligations. Please read these Terms and Conditions of Use of the Website (“Terms and Conditions of Use of the Website”) carefully before using the Website and any other Geox content on Geox pages on social media sites, including, but not limited to, Facebook and Twitter (collectively, “the Website”). These “Terms and Conditions of Use of the Website” apply to each visit and use of the Website, as well as to the Content (as defined below), to the information, recommendations and/or services we provide you within the Website. By accessing and using the Website, you consent to these “Terms and Conditions of Use of the Website” in their entirety, as well as to any other law or regulation applicable to the Website and the Internet. If you do not agree to these “Terms and Conditions of Use of the Website”, you will not be able to continue to navigate the Website. The Website is owned by Geox. The works, images, photographs, dialogues, music, sounds and videos, documents, information about the Products, patents, designs, pictures, logos, trademarks and any other material, in any format, published on the Website, including the domain name, menus, web pages, graphics, colours, patterns, tools, characters and overall design of the Website (including layouts), methods, processes, functions and software that are part of geox.com (collectively the "Content"), may be protected by intellectual property rights owned by Geox or third parties and for this reason reproduction of the Content may be prohibited, in whole or in part, in any form. Geox reserves the broadest rights to authorise or prohibit direct or indirect, temporary or permanent reproduction in any manner or form, in whole or in part, of geox.com and its Content or the creation of links or hypertexts between the Website and any other internet site. If you are permitted to download software from the Website, such as applications, you may only use such software for personal and non-commercial use, and you may not sell, reproduce, disseminate, copy, modify all or part of them or derive any work from such software. The storage or reproduction of the Website (or part of the Website) on any other external site or the creation of links or hypertexts between the Website and any other website is prohibited. You can request that our newsletter be sent to your e-mail address, with which we will inform you of promotions, events and special offers. Click on this link if you would like to enrol. You will be able to join our loyalty program. Connect to this link to learn about how it works, the rules, exclusive discounts and to sign up for the program. Geox is not responsible for the content and activities of these sites. Therefore, if you decide to visit these sites, it will be at your own risk. Geox does not provide any warranty in respect of the Website and its Content, other than as required by law. When you access the Website, you navigate it at your own risk. The information contained on the Website is for promotional, marketing and/or communication purposes. It is not of a journalistic or informational nature and does not constitute advice of any kind. Geox takes all reasonable precautions to ensure that the Content is accurate and contains correct and up-to-date information on the date of its publication. Geox does not represent or warrant that all Content is correct, adequate, useful, complete or accurate, or that the Website, or server hosting it, is free of viruses or other harmful components. Therefore, Geox does not provide a statement or warranty that the Website is free of errors, viruses or is continuously accessible. Neither Geox nor the companies belonging to the Geox group nor any of its executives, shareholders, partners, managers, representatives or employees may be held liable for any direct, indirect, special, consequential or other damage that may arise from the use, or impossibility of use, of the Website. This includes damage caused by viruses or any lack of completeness or errors in the Content or otherwise stemming from or connected with these Terms and Conditions of Use of the Website, including in the event that Geox has received notice of the possibility of such damage. Geox shall not be liable for any delays or errors in the application of, and in the compliance with, the obligations set out in these Terms and Conditions, which are not dependent on its reasonable control. It is prohibited to use the Website to publish or broadcast any work, information, text, video, material or content that could be considered illegal, threatening, false, defamatory, obscene, pornographic, discriminatory or that could constitute or encourage the commission of offences, violate rights, including intellectual property rights, or that could in any other way violate any provision of law. Geox may deny access to the Website at any time in its sole discretion, including, by way of example, in situations where Geox believes that the use of the Website is in violation of one of these Terms and Conditions for the Use of the Website and/or constitutes a violation of law. You will not be able to use the Website to promote or advertise products or services that are not Geox Brand products. It is prohibited to use software, robots, crawlers, spiders, page scrapers or other automatic means or devices to: (a) access parts of the Website or its contents, copy them, influence their operation or control them, or circumvent the structure or presentation of the Website or other aspects of its content; or (b) interfere with the functioning of the Website or with any operation carried out on the Website or interfere with, or influence the use that any person makes of the Site, or to contribute to facilitating to third parties the purchase of products on the Site. It is prohibited to obtain unauthorized access to any part or function of the Website or any other system connected to the Website through hacking, password mining or other illegal means. 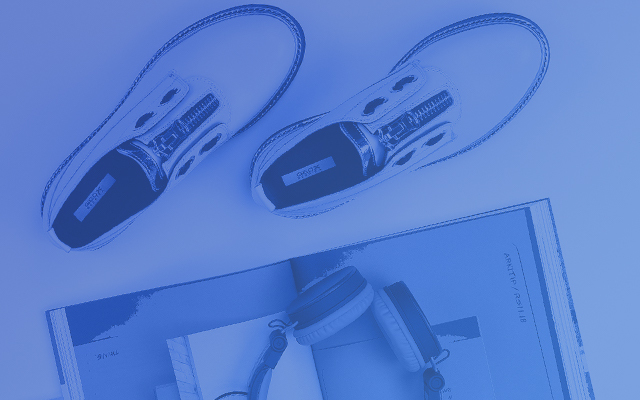 If you have any questions or comments regarding the Geox Website or the Geox Terms and Conditions, or in the unfortunate event that you might wish to make a complaint, our Customer Care Team is always available by clicking here. Geox reserves the right to amend these Terms and Conditions at any time. The use of this Website, as well as any purchase contract between the Customer/User and Geox, are subject to the version of the Geox Terms and Conditions in force at the time the purchase order is placed on the Website or at the time the Website is navigated. Periodically refer to the Geox Terms and Conditions for any changes. The version is marked with the date of the last review, which is listed at the end of the page. Geox has adopted and complies with the provisions of the Geox Code of Ethics (“the Code”) and the organisation, management and control model established by Legislative Decree No. 231 of 8 June 2001 (“the Model”), which can be found on the website www.geox.biz. These Terms and Conditions are governed by Italian law. The law of the Country where you reside may provide more favourable rules that protect even if Italian law applies. In the event of a dispute, the dispute resolution procedure referred to in the following link shall apply https://ec.europa.eu/consumers/odr/ . In the event that a dispute is not resolved through the European dispute resolution procedure, the competent court is the Court of Treviso in Italy, without prejudice to the exclusive competence guaranteed by the necessary implementing rules. In the event of a conflict between the Geox Terms and Conditions and any other content present in other parts of the Website or in any links, the Terms and Conditions contained herein shall prevail. Each clause of these Terms and Conditions shall govern separately and independently of the others. In the event that a clause is cancelled, invalidated or otherwise deemed unenforceable, such clause shall be deemed to be divisible from the remaining terms and shall not affect the enforceability of the remaining clauses of these Terms and Conditions. Geox reserves the right to assign to any third party, including companies belonging to the Geox group, one or all of the rights and obligations arising from the Geox Terms and Conditions. You may not assign your rights or obligations under the Geox Terms and Conditions without Geox’s prior written consent. By accepting these TERMS AND CONDITIONS you hereby declare that you have understood and expressly accept any and all provisions. You also declare that you expressly accept the provisions WHO CAN PURCHASE PRODUCTS FROM THE WEBSITE, ORDER CANCELLATION, DELIVERY: DESTINATIONS, TIMEFRAMES AND COSTS, DELIVERY NOT COLLECTED, CONSEQUENCES OF WITHDRAWAL, NON-CONFORMING OR FAULTY PRODUCTS.